Fourteen-year-old Stephanie Kohler created an “Adopt Don’t Shop” program at the Animal Welfare Association and has written a book titled “Going Home” about a homeless dog who finds a home. For most of her life, Stephanie Kohler has been extremely passionate about animals. She has two rescue pets of her own, a dog named Molly and a cat named George, so when she had to come up with a project for the Girl Scouts, it didn’t take her long to come up with an idea. The fourteen-year-old created an “Adopt Don’t Shop!” program at the Animal Welfare Association in Voorhees to encourage people to take home rescue dogs. The program, which took place in August, had to be approved by the Girl Scouts. “I wanted to make people aware about the animals in the shelters and encourage them to adopt instead of going to a pet store and buying a pet,” the Winslow Township resident explained. The project was so successful, the shelter reached their adoption quota for the day and Kohler earned the Gold Award in Girl Scouts, the highest achievement in Girl Scouting. Kohler was ecstatic about reaching it and her mother Barbara said that award is equivalent to achieving an Eagle Scout in the Boy Scouts. Kohler will be honored at a ceremony in May. Kohler made 20 goodie bags and brochures for the animals and would-be pet owners. The bags contained toys, treats, and “Adopt Don’t Shop!” t-shirts. She also made bandanas for the dogs that said “Adopt, Don’t Shop!” on them. In order to qualify for the Gold Award, a Girl Scout’s project has to be ongoing. Besides the event at the Animal Welfare Association, Kohler put her writing and drawing skills to use by writing a book, “Going Home.” She also drew all the illustrations for the book, which she said took her a year. 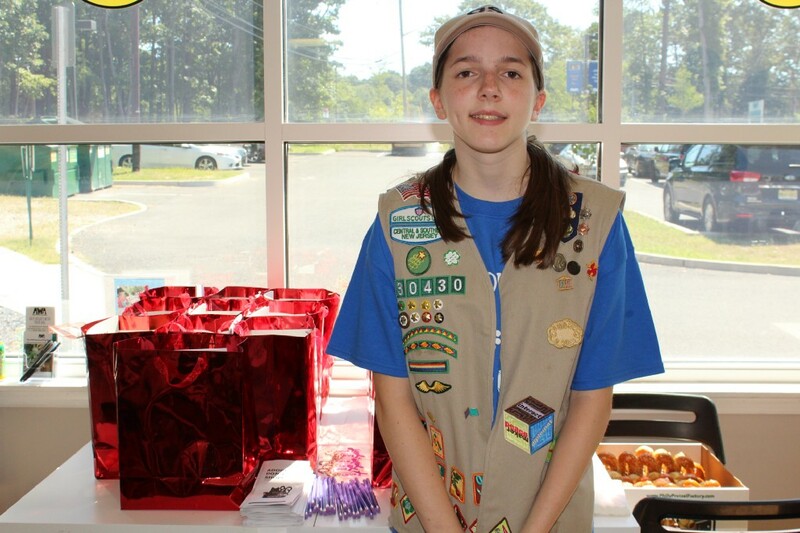 Kohler has learned life skills from being a Girl Scout member since the age of six — leadership, responsibility and the meaning of hard work, and she gets so much enjoyment from it, too. Kohler’s mom is very pleased with her daughter’s achievement.